Giving its acclaimed model, Unicorn, a welcome revamp, Honda Motors presents the Dazzler. Read on for its technical specifications, latest features and price. 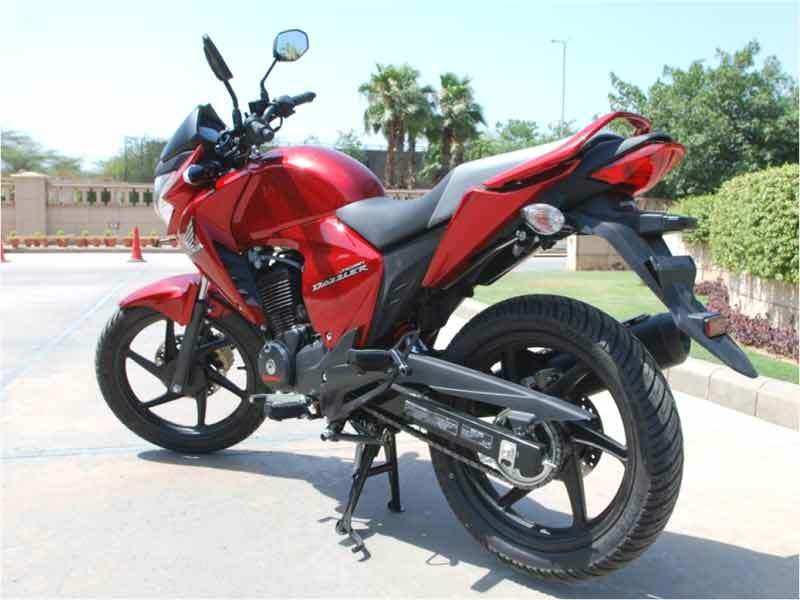 When Honda introduced Unicorn almost a decade ago, this silent lone warrior was no match for the noisy and rough bikes like the Bajaj Pulsar, which was instantly liked for its rugged image. Users of the Unicorn, nevertheless, had very little to complain about, especially when it came to its engine and performance, unlike the users of other bikes in its range and of the same engine capacity. 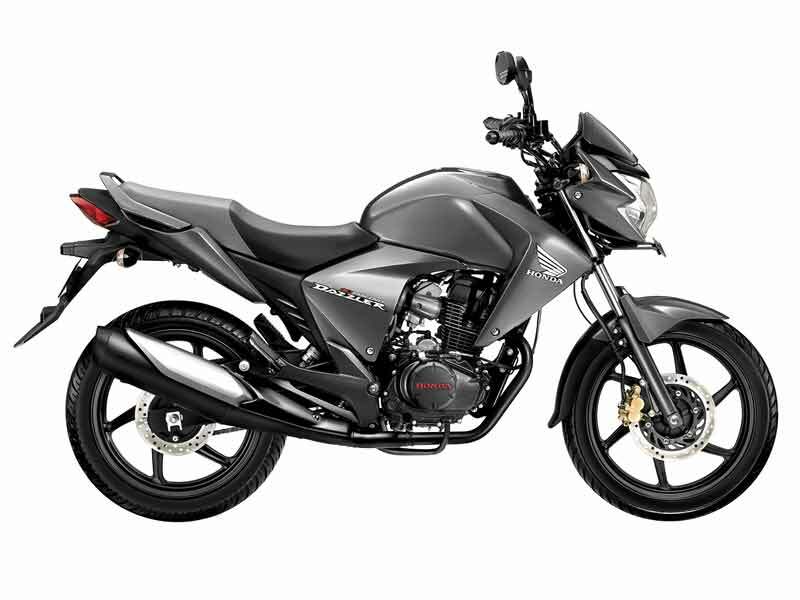 Thus, Honda is trying to increase its fan base, by bringing in more people into the fold, by revamping the Unicorn into the CB Dazzler. The Dazzler is, as the name speaks for itself, is meant to appeal to the larger section of the consumers, with disc brakes on both the its tubeless-tyre and matte-finished alloy wheels, screen-less front cowl and an overall deduction of around 8kgs in the weight of the machine! Meant to meet stricter norms set for emission, the CB Dazzler comes with an updated version of the same refined and acclaimed 150cc engine. The engine produces a maximum power of 14bhp, higher than the Unicorn's 13.3bhp, at 8500rpm, higher than Unicorn's 8000rpm. 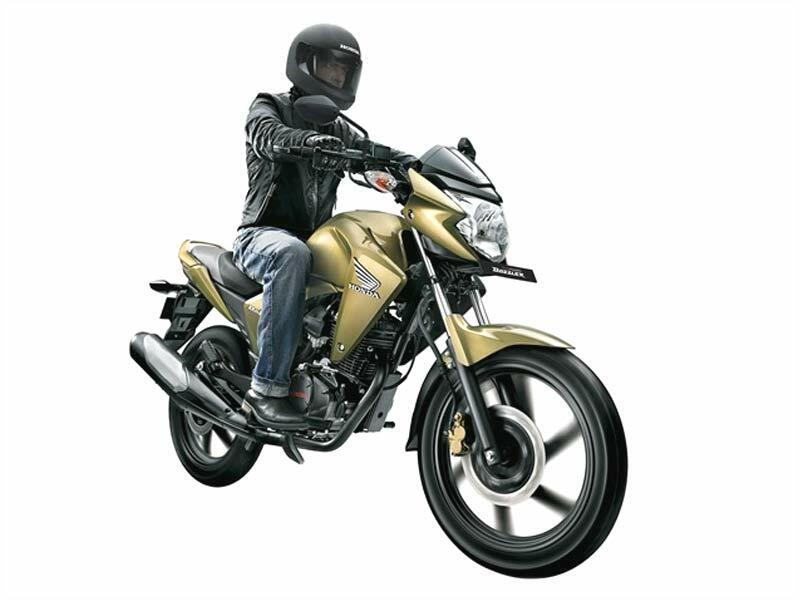 CB Dazzler also reaches a maximum torque of 12.8Nm, same as its predecessor, at an increased value of 6500rpm, all of which make it a higher revving bike. The gear shifts are smooth and this machine also features a viscous air filter, which is a low maintenance addition providing better breathing for the engine. Special attention has been paid to looks, this time, for obvious reasons! Its dual tone styling, less weight, bikini fairing with screen-less front cowl and semi digital console all aim attracting a larger section of people who want it all in a bike - great looks as well as high class performance. Even the dimensions of the Dazzler are more compact as compared to the Unicorn. Doing away with the Monoshock that the Unicorn was equipped with, the CB Dazzler comes equipped with two spring suspensions. These suspensions, in turn, provide better stability and comfort while riding, apart from merely absorbing unevenness on the road. As a new concept bike from Honda family, Honda Dazzler provides an average mileage of 55-58 km/l. For giving it a mass appeal, the Honda CB Dazzler comes in colours of Metallic Armour Gold, Pearl Siena Red, Pearl Nightstar Black and Metallic Sword Silver. Its ex-showroom price is predicted at Rs. 63000.